The classic mahjong game is reimagined with this new ultra portable card game edition. Popularised in Malaysia, the 3 Leg Mahjong is fast to setup, yet can bring you hours of fun! 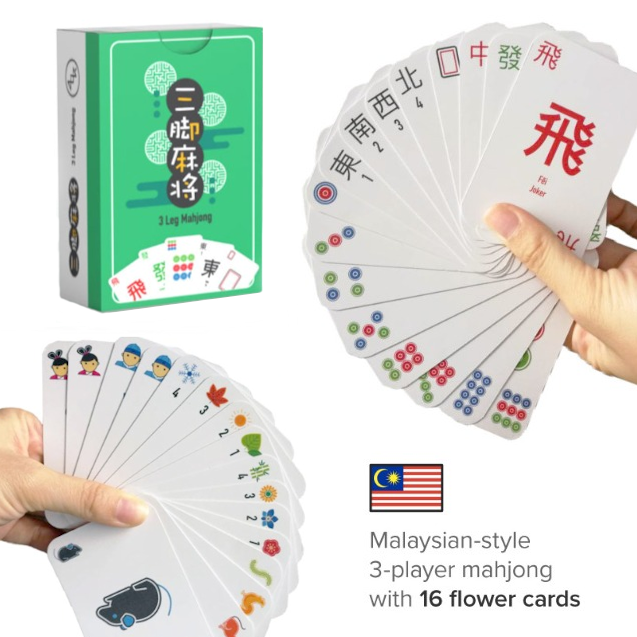 You can now play your favourite 3-player mahjong game anywhere with this travel friendly local design!